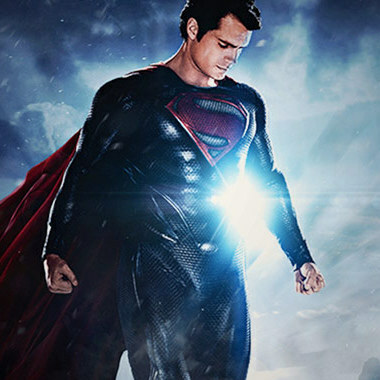 So by now, everybody knows I saw Man of Steel….twice. Will probably see it more, if I can. First, let me say that this was the movie I hoped it would be. From the first trailer I saw, to the last spoiler I read…it lived up to the hype, and more importantly, mine. I loved it. The movie garnered some bad reviews and had a very low score on Rotten Tomatoes from the critics (they can get the finger, the middle!!). Do not listen to the critics. I feel that most of them have a biased agenda one way or the other. Go see for yourself and bask in the all the glory that is Kal-el. Zack Snyder did what almost every other Superman movie has failed to do. He brought action to the franchise. And an S-load of it too. (“S” pun totally intended). And this wasn’t that type of unrealistic action where buildings get destroyed and no one dies. The action in this movie was cataclysmic. Punches that leveled city blocks. A Superman that has not yet learned how to control his anger and rage, and many people lost their lives because of it. This was the first time we’ve seen a Superman that is not yet fully in control of his abilities and is still learning what some of them are. Some powers we’ve come to know as fans, did not even make it in this movie. Yes, we got another origin story. But it was unlike any we’ve seen before. 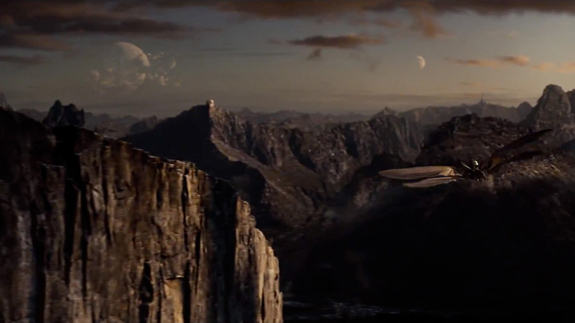 Seeing Krypton on the big screen, with it’s sweeping landscapes and high-tech horizons, was something I have always wanted. And to get a glimpse of the wildlife on the planet, was TIGHT. 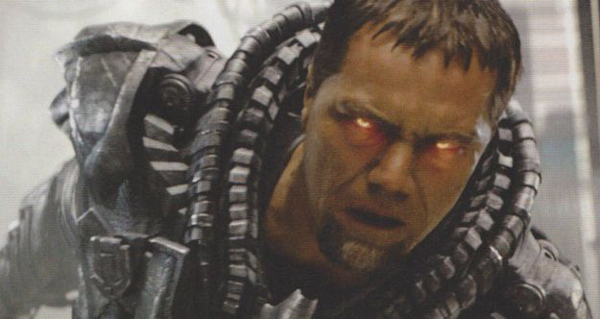 And before everyone starts complaining about Zod being the villain AGAIN…Michael Shannon knocks it out of the park. I’m pretty sure he didn’t have to get into makeup for this role. He is just disturbingly menacing. The overall look of the Kryptonian army was perfect. The armor, the ships, and the guns were all tons of awesomesauce. Before I get to Henry Cavill, let me get through the rest of the cast the I liked. Be small minded and say what you want about race, but Laurence Fishburne was GREAT casting as Perry White. I generally just prefer to see him fighting Keanu Reeves in the Matrix, but I really, enjoyed his take on White. He was forceful, but also had this fatherly aire about him. It was great. And Antje Traue, as Faora was just…..just….yes. Maybe more than Cavill, I liked the two Robin Hoods. Costner and Crowe were amazeballs. Costner was born to play Pa Kent, and Crowe was awesome as Jor-El. Not the old, idling portrayal of Brando, but a Jor-El that could whoop some @SS. Loved it. As for the rest of the casting, you probably remember seeing alot of them on a certain show called Smallville. Hopefully, Snyder’s nod of respect to a tv show that kept Superman somewhat alive and kicking in the mainstream for 10 seasons. Now on to Cavill. When Superman Returns came out in 2006, I thought Brandon Routh was perfect casting as a continuation of the Superman Christopher Reeve’s put on the screen in the late 70’s, early 80’s. That was his job and he pulled it off perfectly. 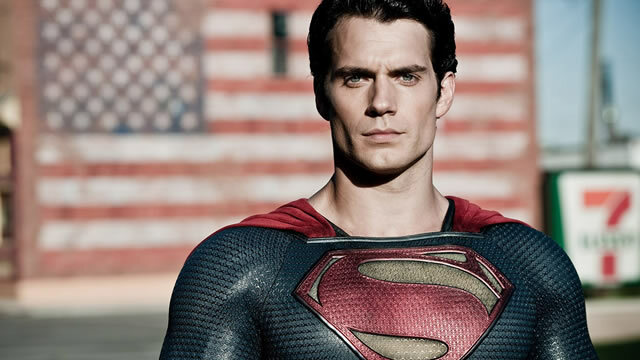 But Cavill….He IS the Man of Steel, Kal-El, and Clark Kent all rolled into one. And he pulled it off effortlessly. From his look as a young Clark Kent, to the first time he dons the suit. Cavill is Superman. I really can’t say enough about him. Man-crush territory? While he didn’t have a ton of lines, or heart felt monologues….the Man of Steel’s presence on screen well made up for that. My only complaint (because I’m a fanboy of old), was the S-curl. It was nowhere to be seen. And the red tights were gone!! Thank the lord baby jesus! They are gone! One would think a civilization so intelligent and technologically progressed as Krypton would realize that you don’t wear your undies outside of the outfit. I mean come on, thats Fashion101, amirite? Anyway, I loved the movie. I was extremely lucky to win tickets from a website to see the movie at Tysons AMC 22. I felt very special. I saw it once in 3D and once in 2D. Go see it in 2D. Save yourself the risk of stroke. Watching those fight scenes in 3D, I definitely started to get the shakes. Everyone should go see this movie. Even non-comic book readers will have a great time. Take your friends. Take your wifey. Take some kids. Introduce them to the Man of Steel. They will love it. My plea to DC and Warner Bros? Savor this success. Don’t get over zealous and try to fast-track the next movie. Which, sadly enough, is what they are doing. Man of Steel took almost 3 years to make and it showed. This movie has the potential to setup a shared universe much in the same way Iron Man did for the Marvel Universe. They just need to take their time and realize what a goldmine they have in the Man of Steel.